Back in the 90’s I took on a second job to make ends meet for our family while my wife stayed home with our young children. Almost any kind of employment would have sufficed, but I wanted to do something enjoyable without further taxing my brain from my day job. My father-in-law spoke fondly of the days when he worked at baseball games and boxing matches in Los Angeles, and I determined to do much the same, applying for a job with a company that provided security services for sporting events and concerts throughout Southern California. And thus for six years I became immersed in the NHL, the West Coast Hockey League, the Arena Football League, and every imaginable concert from the Rolling Stones to Garth Brooks to Bon Jovi. 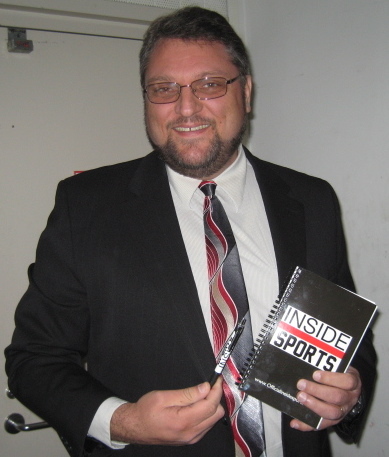 And thus it is, eighteen games into the San Jose Sharks 2011-2012 season, that I find myself writing my first column since training camp after several false starts which never got past Guadalupe Parkway. The Sharks came out blazing in the home opener against the Phoenix Coyotes, continuing their pre-season success with a 6-3 victory in front of an enthusiastic sell-out crowd. But then it all came to a halt while waiting for six days upon their next opponent, the Anaheim Ducks, to return to California from their season opener in Scandinavia. The long pause proved detrimental as the Sharks would go on to drop their next three games in a four day stretch. It was at this point that my extremely passionate Sharks-fan friends began engaging me in discussions about what was going wrong, and expressed concern about the possibility of missing the playoffs altogether this season. My answer at the time was that I considered this year’s squad to be at least as good, if not better, than the team which won the Pacific Division and made it to the Western Conference finals a few short months ago. They wanted very much to believe, and the Sharks have done their part to make believers out of fans and foes alike ever since. The turnaround began with a 5-1 road trip through the eastern time zone. It continued in November with a 4-1-1 home stand. And over this past weekend, the Sharks added a pair of 4-1 road victories against the Dallas Stars and Colorado Avalanche to surge into 1st place in the Pacific Division with a 12-5-1 record overall. For those keeping score, that’s a run of 11-2-1 since the early 3-game losing streak. If that weren’t enough, the Sharks’ 25 points puts them within a single victory of the Western Conference and overall NHL lead, with 2 games in-hand against the conference-leading Minnesota Wild and 3 games in-hand against the Chicago Blackhawks, each of which is sporting 27 points in the standings at the conclusion of Sunday’s contests. So how did the Sharks get here at this point of the season? Joe Pavelski is tied for 4th in the NHL in goals with 11, which together with his 8 assists ties him with Patrick Marleau for points with 19 on the season. Marc-Edouard Vlasic leads all Sharks with a +11 rating, and leads the defensemen with 11 points. Goaltenders Antti Niemi and Thomas Greiss have each performed well thus far. Niemi is 8-2-1 with a 2.52 GAA and .915 SV% while Greiss is 4-3-0 with a 1.99 GAA and .929 SV%. Of interest at this stage of the new season are the performances of the players which traded places between Minnesota and San Jose during the off season. New Sharks defenseman Brent Burns has quickly become a fan favorite with his energetic play and engaging personality. In 18 games, Burns has amassed 4 goals and 3 assists with 3 of his goals coming on the power play for a share of the team lead (with Pavelski & Marleau). Right winger Martin Havlat is settling in with 1 goal and 8 assists in 14 games. In Minnesota, former Shark Dany Heatley is 2nd on the Wild roster with 12 points (5 goals, 7 assists) in 20 games. Devin Setoguchi is 2nd on the Wild roster with 6 goals (4 assists, 10 points overall), also in 20 games. Considering that the Sharks and Wild are both at the top of the NHL standings, it appears at least for the time being that the trades benefitted both teams in the areas that were needed. The Sharks are home this week to face the Chicago Blackhawks on Wednesday and the Vancouver Canucks on Saturday in a rematch of last season’s Western Conference finals. There is great news out of Pittsburgh where Sid Crosby is poised to return to the line-up for the first time since January 2011*. The Penguins remained competitive last season in his absence as well as in the early going of the current season, so it will be interesting to see what impact Crosby’s return will have on his team and the Eastern Conference, and whether the referees will treat him the same as any other player, or if they will be quick on the whistle for any kind of physical contact by opponents. 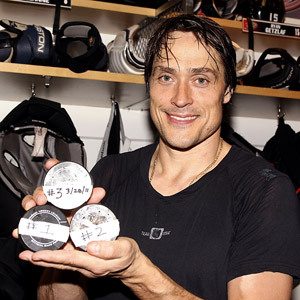 At 41 years of age, former Shark Teemu Selanne remains one of the most potent offensive forces in the NHL. The Finnish Flash currently leads the Anaheim Ducks in goals (7), assists (12), and points (19) in 20 games. Can the future Hall-of-Famer maintain a point-per-game pace on a team currently next-to-last in team scoring? Fantasy leaguers who drafted Phil Kessel and/or Joffrey Lupul of the Toronto Maple Leafs have to be feeling pretty good about themselves right now. Kessel leads the NHL with 16 goals and 29 points, while Lupul registers 3rd in the league with points at 25 (10 goals, 15 assists). Regardless what happens in his career, Lupul will go down in history as the guy who was traded for Chris Pronger twice. 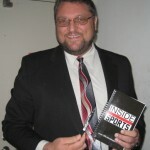 Follow me on Twitter @insidesharkstom for live game updates when I am at HP Pavilion, or for other occasional Sharks updates. *Note – Sidney Crosby scored two goals, had two assists and was named #1 star of the game in his return; a 5-0 Penguins victory over the New York Islanders. This entry was posted in Advertisements, Inside Sharks, NHL and tagged anaheim ducks, chicago blackhawks, hockey, minnesota wild, NHL, penguins, San Jose Sharks, sidney crosby, western conference. Bookmark the permalink.